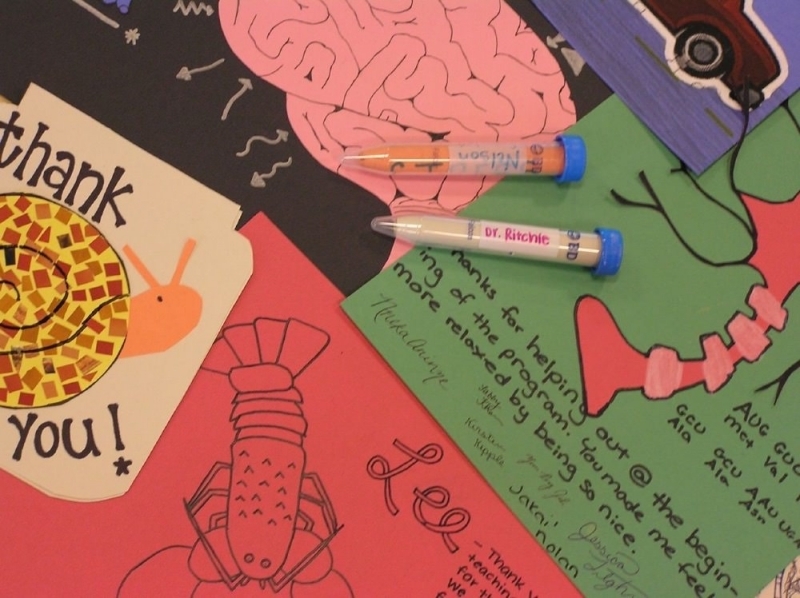 If you or your children have had great teachers in your lives, show your appreciation at the end of the year with one or more of these thoughtful ideas. We’ve all had amazing teachers in our lives—the kindergarten teacher who hugged you when you came crying to her about the former friend who didn’t want to play with you; the third-grade teacher who helped you discover the joys of exploring the science of the outdoors; the high-school teacher who introduced you to Rilke’s poetry. All year long, they work hard to educate our kids with compassion, helping young minds grasp new ideas and explore concepts. As the school year here in the United States comes to a close, and teachers prepare for a much-needed break, we wanted to celebrate them with an article about ways that we can show our appreciation for their hard work. If you want to show your support for your children’s teachers—or recognize the hard work of a teacher you’ve had in your past—you don’t need to spend a lot of money to show you care. Here are a few ways to appreciate the educators in your life. If your kindergartner couldn’t even write his name at the start of the year, a handwritten thank-you card to his teacher is a wonderful way to show the impact that education has had on his progress, even if it’s just a sentence or two. For older students, writing a more detailed message that talks in detail about what you’ve loved about the class and the discoveries you’ve made there will show your teacher that she’s made a real difference in your life—even if you didn’t always appreciate it at the time. I hated you when I first met you. I hated the fact that you made me stand up straight. I hated the way you made me wear my uniform right. I hated the way you made me speak correctly. Most of all, I hated the way that you wouldn’t accept my work unless it was the best I could do. You taught me that I could achieve more than what I or other people thought that I was capable of. I could be a success, instead of a clown. For that lesson, I owe you so much. Letters like this can help teachers stay motivated to teach, even when their students aren’t responding positively in the moment. It’s a powerful way to show them that they truly have made a difference. Create a gift bag for your favorite teacher. Now that the school year’s ending, that doesn’t necessarily mean teachers are off-duty—after all, they have a whole curriculum to plan for the following year. But it does mean a less frantic pace, and some extra time to enjoy the sunshine. Send him or her off in style with a few fun items to enjoy the extra free time. 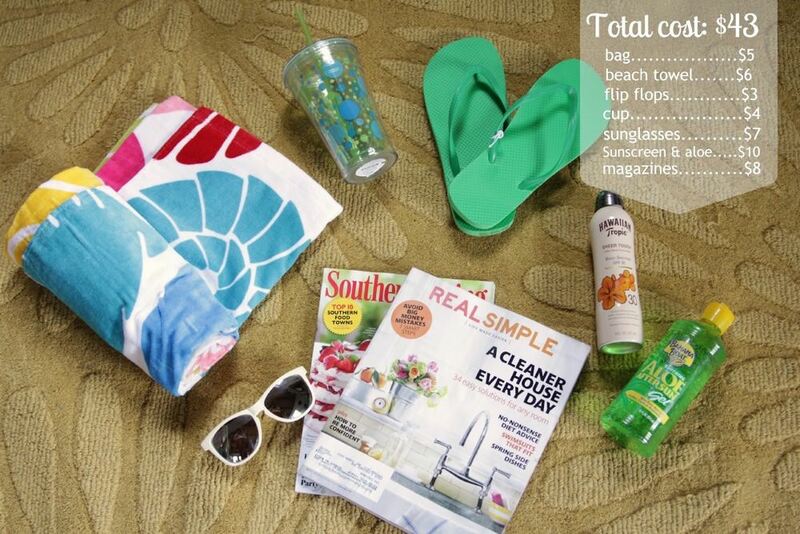 Help your favorite teacher make the most of summer with a small gift bag filled with summertime goodies, like this example from former 5th grade teacher Heather Freeman of The Decor Fix, which includes beach-y items like sunglasses, a towel, and flip-flops. (And don’t forget the sunscreen!) A gift card for a local ice cream shop could be a favorite, too. Or, what about a collection of fun beach reads? 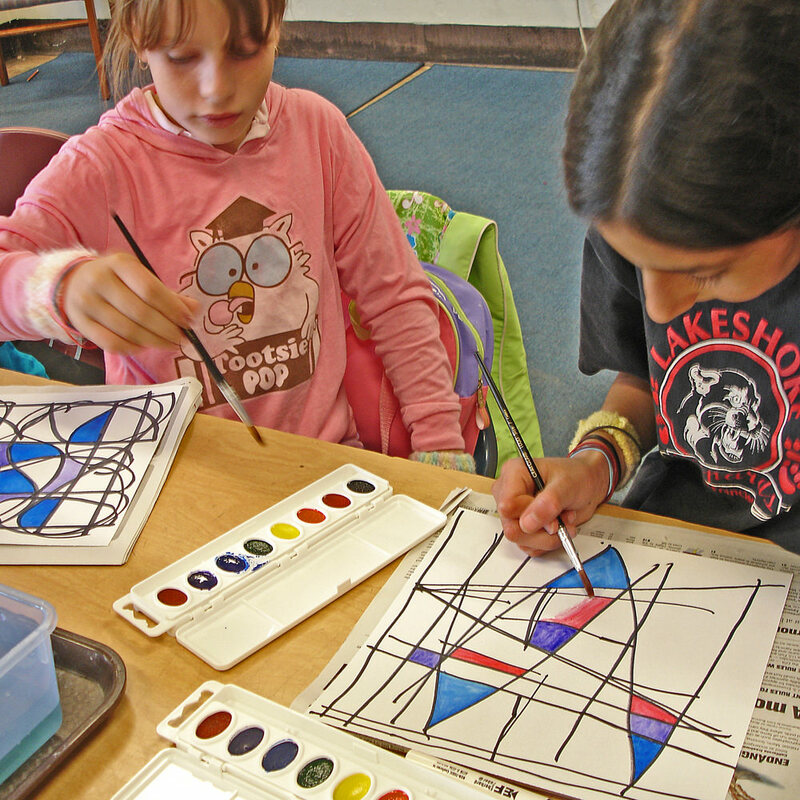 Collaborate to come up with a meaningful class gift. Class gifts are a great way to provide a teacher with a gift with a bigger impact than you can provide on your own gift budget, by pooling the resources of everyone in the class who can contribute to the extent that they are able—or even the creativity of the kids. For example, Spoede School in St. Louis, Mo. had its students collaborate on permanent art installations to brighten up the school, such as a set of colorful benches sharing everything that’s fun about being a kid. Or invite each student in a class to contribute their own worksheet sharing some of their favorite memories for the year, as in this cool example. Or, consider contributing towards your teacher’s favorite cause or charity, or something that would make a difference in his or her life. A New Hampshire senior class showed their concern for their principal, who was fighting cancer, by sacrificing their class trip to donate the $8,000 collected to her medical expenses. 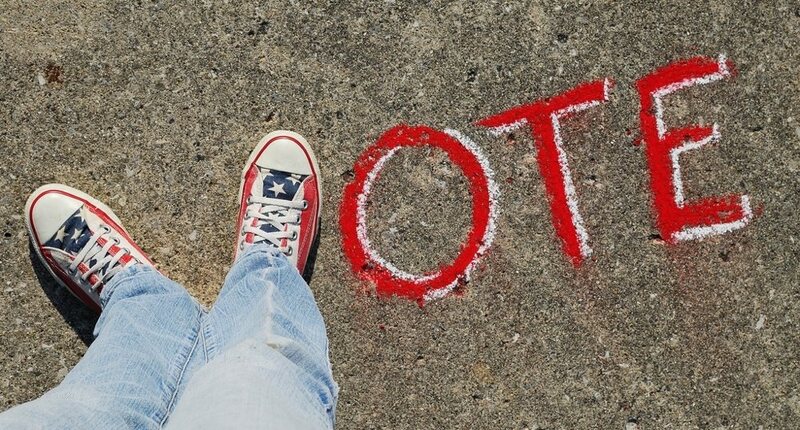 For public school teachers, if your town has a public voting process, the absolute most important thing you can do is vote to approve your school district’s budget, even if it means a slight property tax increase. School budgets are allocated based on available funds from all revenue sources, and sometimes there’s a shortfall when it comes to being able to support new educational programs or to give teachers and staff salary increases and pensions. Make sure that everyone in your district knows about the budget voting timeframe, and do whatever you can to get your friends and neighbors to the polls, whether that means carpooling, or offering to babysit to help people cast their ballot. If the budget doesn’t pass on the first try, write letters to your Town Council to speak out against further cuts. Even if you don’t have children in the public school system, thriving schools with well-educated children will benefit the entire community. “Teachers can change lives with just the right mix of chalk and challenges.” ―Joyce Meyer. What have you done to thank your favorite teachers for all their hard work? Or, if you’re a teacher, what was your most meaningful gift? Share in the comments!